All web pages published by the District must be in compliance with applicable WCAG 2.0 level AA and/or WAI-ARIA 1.0 Standards, or like standards, to render online content accessible. The District will take all steps reasonably calculated to prevent any third-party from posting content which is not equally accessible to persons with disabilities on the District’s web pages, and will promptly remove any inaccessible third-party content once the District becomes aware of it. To further compliance with this policy, content may only be added to the District’s web pages by the District or by third-parties hired by the District to manage its web pages. The District and these third-parties will manually check content which is added to the District’s web pages to confirm compliance with (I) above prior to adding it to the District’s web pages. Any District staff responsible for creating or distributing information with online content will receive annual training on the Web Accessibility Policy and their compliance with the same. Said training will be facilitated, in whole or in part, by an individual(s) with sufficient knowledge, skill, and experience to understand and employ the technical standards adopted herein. Any such staff who has been fully trained at least once can satisfy his/her annual training requirement by receiving and reviewing a notice which: (1) includes a copy of the Web Accessibility Policy; (2) highlights any policy updates; and (3) provides the name and contact information of the Web Accessibility Coordinator. Annual accessibility audits will be completed under the direction of the Web Accessibility Coordinator, to measure information provided by the District against the technical standards adopted in this Web Accessibility Policy. All problems identified will be remediated, if necessary, within a reasonable period of time. Students, prospective students, employees, guests, and visitors will be informed that they may report violations of the technical standards contained in this Web Accessibility Policy by filing a formal complaint through the District’s Section 504 and Title II grievance procedure, or by contacting the Web Accessibility Coordinator. Please be aware that our efforts are ongoing. 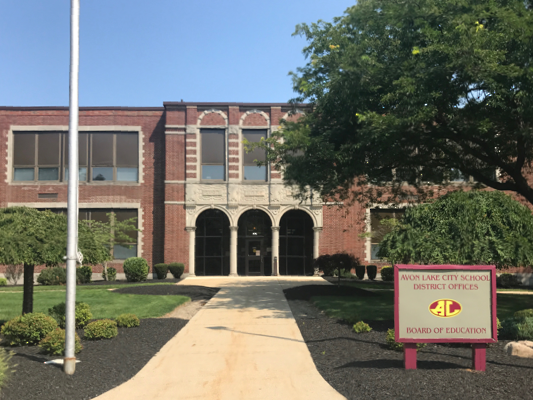 If at any time, you have specific questions or concerns about the accessibility of any webpage on AvonLakeCitySchools.org, please contact us at scott.wuensch@avonlakecityschools.org. If you do encounter an accessibility issue, please be sure to specify the webpage in your email and we will make all reasonable efforts to make all pages on the AvonLakeCitySchools.org website accessible to you. Disclaimer: Avon Lake City Schools is in no way affiliated with any vendor on the following links and is not responsible for any software you download.